Is getting ahead in school worth it? 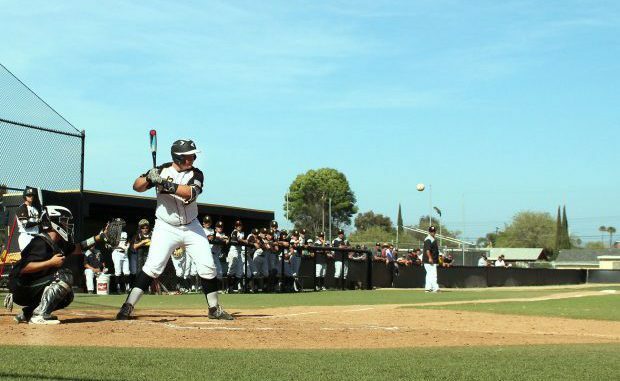 The Newbury Park baseball team has always been a threat to all California division 1 teams, claiming several state titles including CIF champions in 1968 and 2012. The recent spring season for the 2018 boys’ baseball team was yet another one for the history books, claiming a second Marmonte League Championship in two years. Carson Lambert, senior, had co-pitched for the baseball team all four years of high school. Lambert and the other nine seniors on the team wanted to make sure they all went out on a high note. “We as a senior class made it a point this year, to try to step up and reproduce what we did as a team last year winning league. An addition to what we had planned for the upcoming season was to sweep Thousand Oaks this year, and we did just that,” Lambert said. Throughout the season, the team upped their statistics, ranking in the top 1,000 teams nationwide and in the top 110 in California. The continuation of the strong work ethic was evident to other co-pitcher Jake Miller, senior, as he made sure to take it upon himself to secure another title. “(I made sure to) always give 100 percent effort and always (stay) positive. When I was on the mound, (I made sure to) do the best I could to give our team the best chance to win,” Miller said. While the team has been successful for the second year in a row, head coach Curtis Scott made sure to implement several team strategies, such as an extensive focus on the team defense. “One (strategy) we implemented was definitely consistency– consistency in practice, consistent in our workouts throughout the fall and regular season. You know, I think team chemistry was really good, getting all the guys together, it was a big mix of old and new players,” Scott said. The ride to success had come along with several experienced players, like Lambert and Miller, who were able to help advise younger players to help secure future titles. With the mix of experienced players and new faces, Scott remains optimistic on the future of the team, continuing to push for future titles. “In the summer and fall we’re going to continue to look for younger guys who can continue to step up to the plate and make an impact on the team. We have several young guys who are on JV, including some incoming freshman and sophomores that we have to develop. You don’t get guys like (Lambert and Miller) very often, three division 1 guys, but we have young people who I know will be very good for us,” Scott said.